About the general picture for the last hours. Heated battles continue in the northern and southern parts of the battlefield, however, the initiative is in the hands of the Armenian side and nothing can be said about any success of the Azerbaijani side. We continue to control the actions of the enemy, and the initiative is in our hands in many parts of the front. Again, we should emphasize, however, that the battles are continuing in some parts of the front, because the opponent had amassed a large force. It is necessary to make a few observations. - we carefully follow the so-called Azerbaijani “frontal releases” and pay attention to a specific feature – no news clearly shows any human and technical loss of the Armenian side, there is even no information about a specific location, captured by their side. We have had some losses, about which we do not keep silent, but they are not able to voice even about this and it only means that the violent clashes taking place in the frontiers of their positions and the initiative is in the hands of the Armenian side. 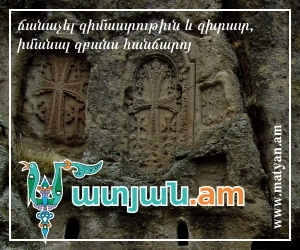 - pay attention to the attitude of the two societies to the military actions in these two days, as if the Armenian side is really inspired, and the really huge flow of volunteers to the front is obvious, who join the battlefield with in a high mood with songs and dances, the enemy’s side has a different image. - I would like to underline the clear and balanced behavior of the media, when certain media successfully avoided the snares of the enemy and demonstrated moderate, nation-oriented and professional position, which is a significant progress compared with previous years. Finally, I want to emphasize again that do not pay attention to the information on the human, technical and territorial losses of the Armenian side, which are designed to cause fear and panic among the public, because the information attack is an integral part of the contemporary war. We possess a complete information, which is currently being analyzed and will be soon presented to the society.